Aristotle was the last, and the most influential of the Greek philosophers. Aristotle studied philosophy as well as different branches of natural sciences. In fact, he had a keen interest in the world of experience and is the founder of at least two sciences: (1) Logic and (2) Biology. 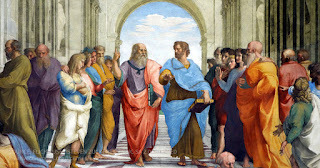 Aristotle’s system of philosophy falls into the fivefold division of Logic, metaphysics, physics, ethics and aesthetics. Aristotle talks about the ultimate good being eudaimonia – a good life, a flourishing life, a fulfilled and worthwhile life. Reflecting on ideals and connecting them to reality is only the first step in the search for the good life. A For Aristotle the final end of human life is to flourish, to live well, to have a good life. All acts should aim at this end. According to Aristotle, the good life consists in the possession, over the course of a lifetime, of all those things that are really good for us. Aristotle’s purpose in the Nicomachean Ethics is not just to explain the philosophy of the excellence for human beings but also to demonstrate specifically how human beings can lead lives of excellence as activity in accordance with practical and theoretical reason. The objective of this paper is to study the concept of happiness and the good life according to Aristotle. Key-Words: Ethics, Aristotle, Happiness, Virtue, Good Life.